Let me start by saying how much I love my morning coffee drink (drink because it's more like a milkshake really), and how much I love catching up on The Pioneer Woman. 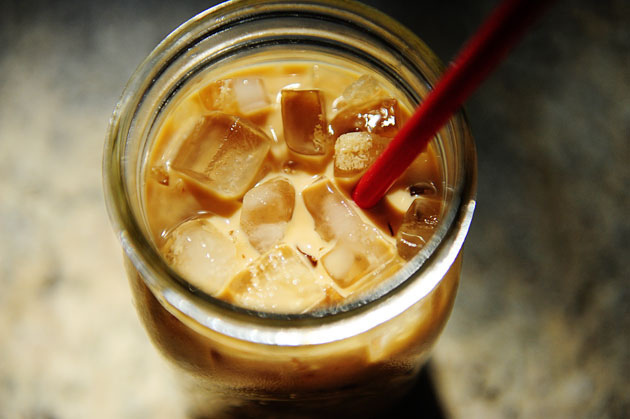 I was enjoying both this morning when what did my stumbling fingers come across, but this Iced Coffee Recipe sent down from angels with their little angel wings fluttering just for me. Did I mention early this morning? Anyways read this post, get this recipe, and drink this coffee. You can thank me later. That is a mean wicked cup of iced joe! I get her RSS feed, but thanks for reintroducing me to this lovely goodness. Do you need help moving or dropping the boy over here for fun play with the big boys?